1 Bed 1 Bath 1,104 Sq. 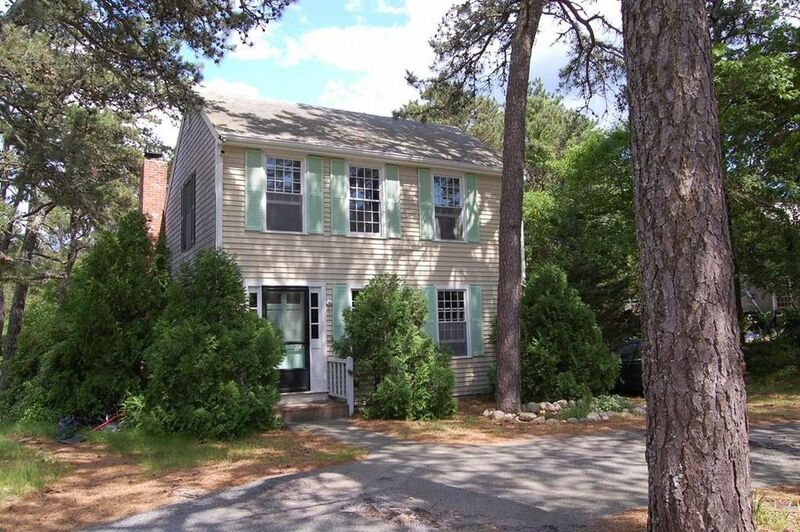 ft.
Charming saltbox colonial in wonderful quiet area on a pretty cul-de-sac just a short distance to trails and access across conservation lands to Swan Pond. Private half acre setting slopes to quiet wooded rear yard and affords a partially finished walkout basement. The first floor features a 24 foot living room, large country kitchen with beams and fireplace and a half bath with laundry. Upstairs is a nice loft, 2 bedrooms and a full bath. Slider to a nice deck overlooking the private treed yard. This home needs cosmetic work but is ready to become a super Cape Cod retreat for some lucky buyer. Directions: Upper County Rd. or Depot St. to Center St. to Barn House. Home on right. 1 beds 1 Bath 1,104 Sq. ft.